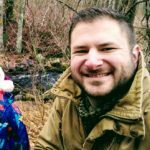 As a teacher, there are plenty of tasks that will demand a lot of time, that it seems impossible to balance it out on some days – school work, family responsibility, home chores, professional development, and even personal time. The list could go on. These tasks seem to constantly pile up with no end in sight and sometimes this myriad of responsibilities become overwhelming. Even bringing some work at home just to get everything done but it is still not enough. If only a day had more than 24 hours. Technology has been a double-edged sword for the profession. On the one hand, there are simply more apps and websites to find, learn and manage. On the other hand, these same websites and apps can save you hundreds of hours and make you a more effective teacher. Lets start with a very basic problem, how do you discover new apps and websites? You could simply go to Google to type in “tools for teachers [insert problem]”. But then you would have to go through the results finding the right tool. This takes time. You don’t have time (see above). There are plenty of sites that collect lists of apps and websites for every purpose; time management, lesson planning, giving students feedback. Heck, we do a lot of posts like that here. But if you just wanted to know the most essential tool for a given task, such as lesson planning, what should you start with? Enter our solution, The Essential Toolkit For Teachers. 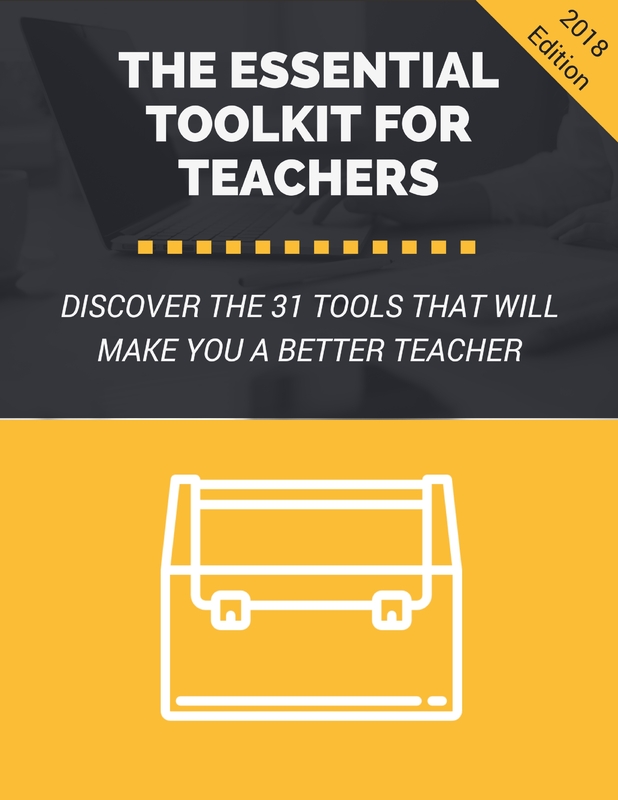 Me and my other researchers, nicknamed “tech-sperts”, have gone through and selected the best tool for a given task and compiled them together in a single, printable PDF document called the Essential Toolkit For Teachers. Think of it as an Editors Choice for technology tools, apps, and websites teachers can use to be more productive and effective. Finding the right tool for a given problem is something that me and my researchers take very seriously and we have put together the best tools, websites, and apps in the following categories. The apps, tools, and websites listed in the Essential Toolkit for Teachers are mainly for teachers who are using Google and their GSuite products but most can be used by Microsoft, Apple, or Chrome. We decided to put together a list of tools that would be most helpful to the majority of teachers no matter the grade level. Some might only be used by upper grades or in some cases, just the lower grades but there is definitely something for everyone in the list. We listed the tasks that most teachers will have to do within a week. Tasks like planning lessons, jotting down notes, emailing parents, or grading assignments. We wanted to offer a list of the most essential list of tools that any teacher could use to get started with a particular task. For instance, we didn’t list every virtual reality app, but gave our picks for ones that teachers should get started with. We knew that some teachers might have to manage IEPs but there is dedicated software or processes for IEPs or other legally binding documents that are managed by the district. We wanted to have a selection of tools that teachers could select or choose to help them manage their work life. We also took into account that some tools on the list wouldn’t be relevant to some teachers because an alternative is already mandated by the their school. For instance, if a school requires their teachers to use Google Classroom. We understand that would limit the tool choice but we felt that most teachers still have the freedom to decide most of the tools they can use and we didn’t want to leave off the list some of the larger ones simply because some schools might not allow them. Lastly, we selected the tools, one over another based upon usage. There are some tools that are more widely known or used, such as Pandora or Spotify over Google Play Music. However, when making the Toolkit, we wanted to make sure that the tools we were offering didn’t add unnecessarily to the list of websites or platforms that teachers needed to use. Meaning, we chose Google Play Music because it performs all the functions of a Spotify or Apple Music but it is already built into the GSuite of tools that many teachers already have access to. Ease of transferring rosters and grades to a gradebook program, like Powerschool. We didn’t set out to create the ultimate list of every app, website, and service a teacher could use. There are plenty of places for you to check out lists of tools. We wanted the Essential Toolkit for Teachers to be the list of tools teachers could refer to if they needed a tool quickly. There is a lot that needs to be done to survive as a teacher. From lesson planning to grading, the job is never-ending. But your life can be made easier and more effective if you use technology as your ally. We have put together what we think are the best tools that teachers could use to supercharge their abilities. Want to have rubrics in Google Docs? We got you covered. Want to have students design a 3D model for an assignment? We have our recommendation ready to go. Need help focusing during your prep/planning block at the end of the day? We have been there and know what helps. Ready to get started? You can download the full toolkit by clicking here. Question: What do you think of the toolkit? Let us know in the comments below!